Workshops — The Eternal Child. 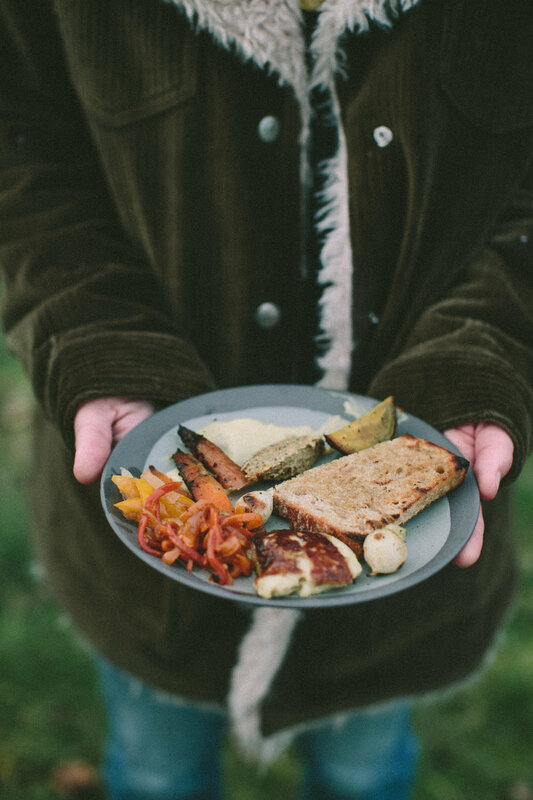 ENJOY THE FRESH AIR, NATURE SOUNDS, AND A DELICIOUS, SEASONAL MEAL ON THE FARM. 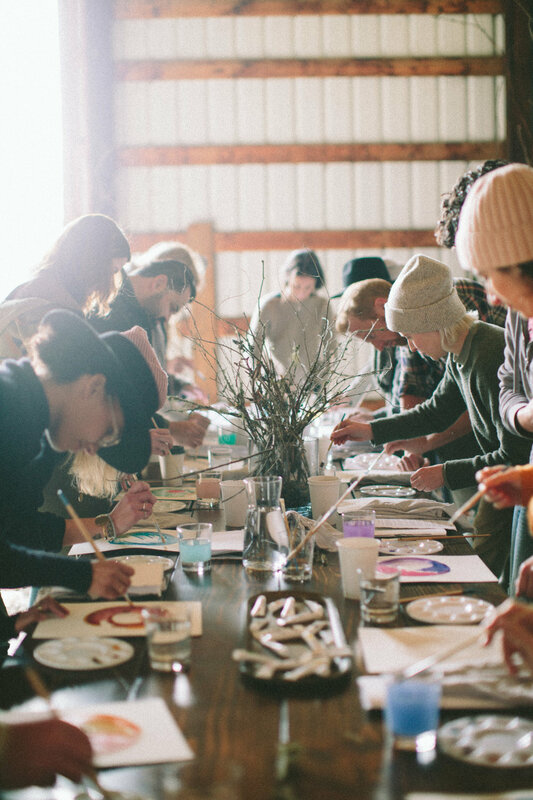 TOGETHER WE’LL LEARN HOW TO BE PRESENT AND AWARE IN OUR ENVIRONMENT AS IT INFORMS US THROUGH THE SEASONS OF SPRING + SUMMER. 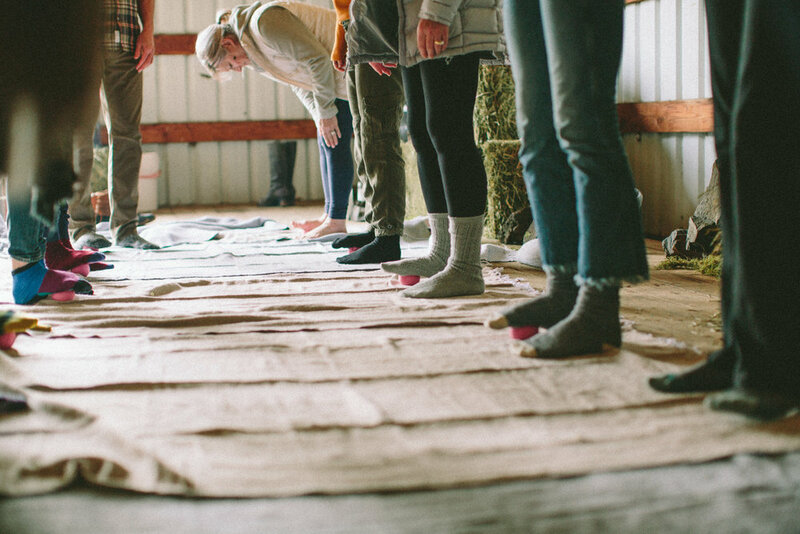 This 2-day workshop is a refreshing weekend to unplug and realize our connection to nature. We will restore our minds and bodies, and reawaken our sense of acceptance and connectedness. 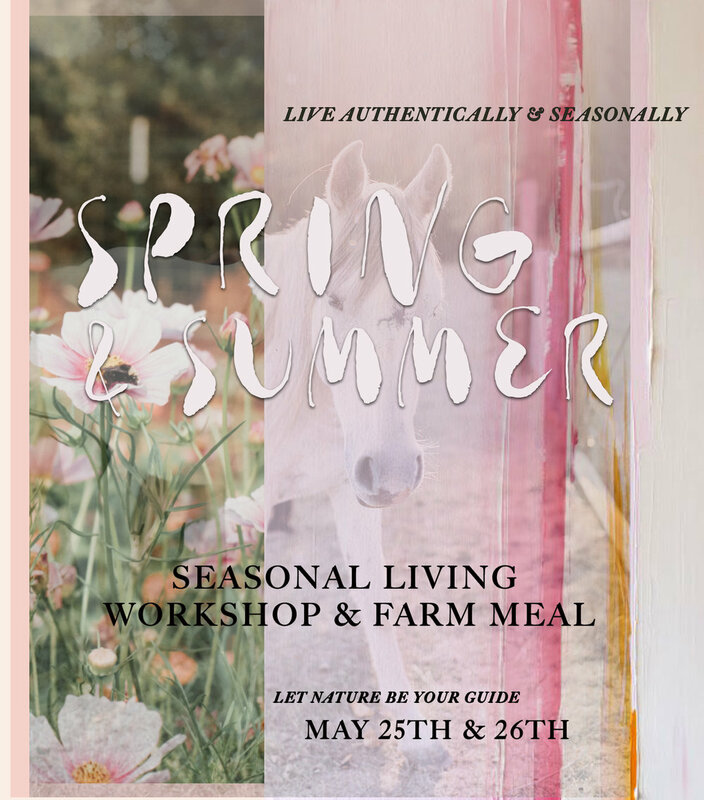 The third workshop in the Seasonal Living Series hosted by Audrey Daniel ( Holistic Life Coach, Soul Equine) and Valerie Noell (Creative Director, The Eternal Child). They invite back their Friends Kit McDaniel (Movement + Embodiment Strategist ), Britanie Kessler (Acupuncturist + Chinese Medicine ), Brianna Sas ( Sound Healing, Elixir Field Wellness ), Briana Thorton ( Tea Tasting, Aesthete tea) and a local plant based Chef to create a seasonal experience that stimulates the mind and body, and brings you back to the basics. 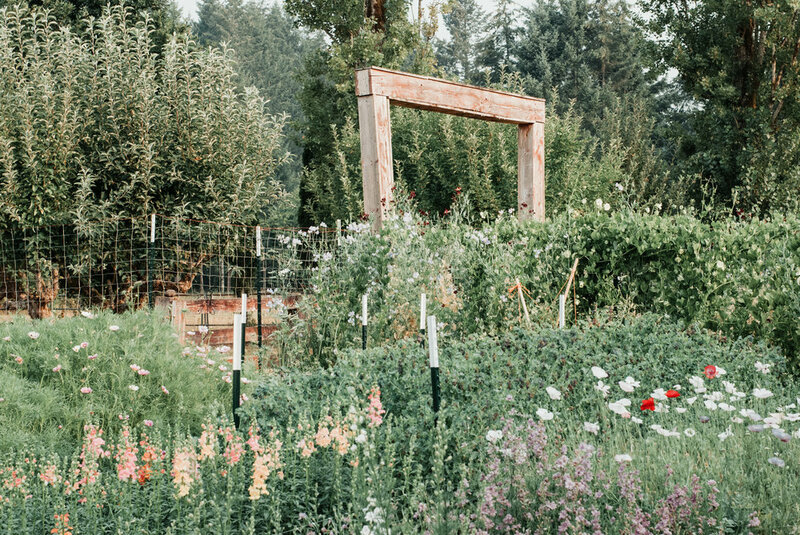 We invite you to join us this Memorial Day weekend to Looking - Glass House & Farm, were we will once more step into nature, with new friends and explore the seasons of Spring + Summer. 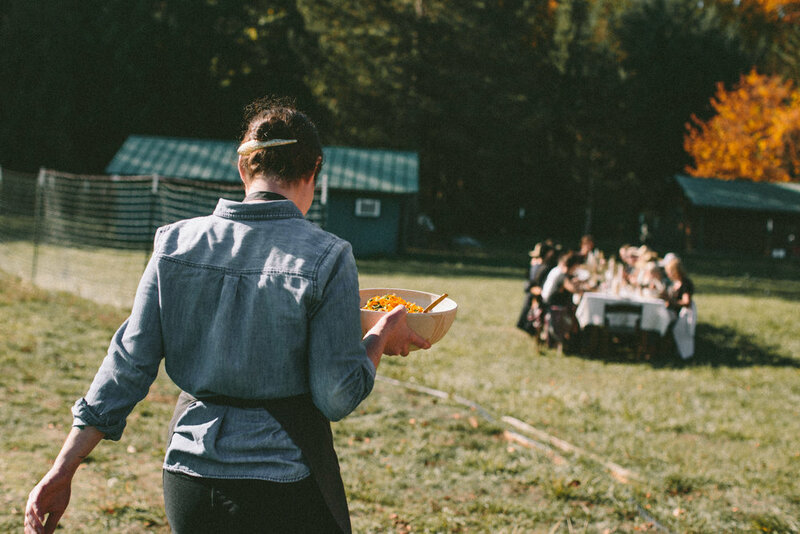 Lunch on the Farm durning our Fall Workshop. If you are local to PDX or traveling from out of state we would love to help make the trip easier for you! 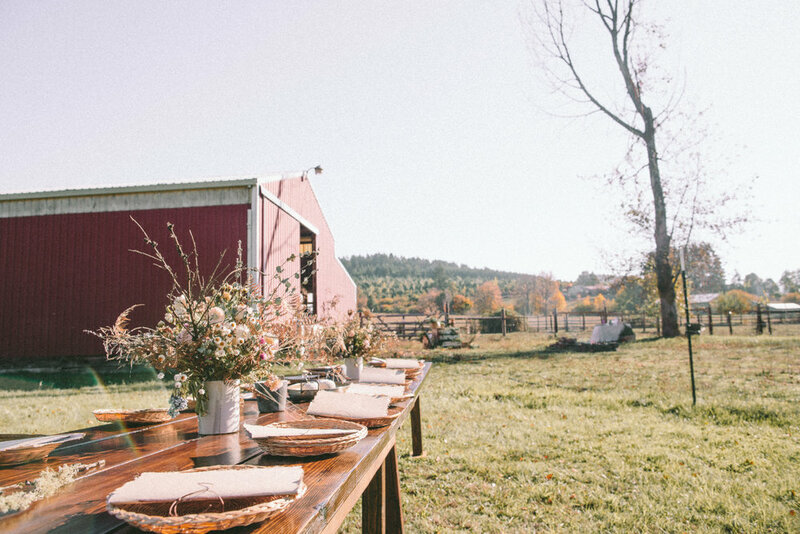 Looking-Glass House & Farm is located only 45 minutes from downtown Portland, OR. 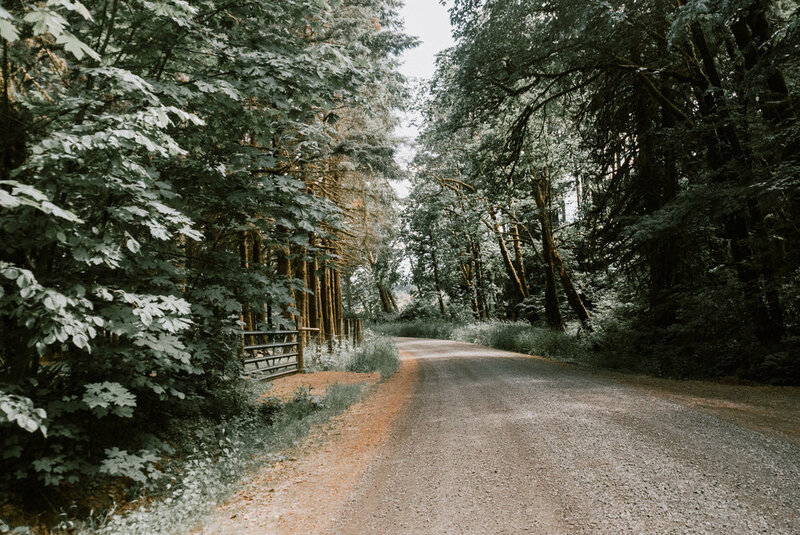 Let us know if you need help finding a ride out to Forest Grove and we will try to hook you up with a fellow attendee making the trip. There are many more options in the area, these are just a few. Feel free to reach out with any questions or concerns before booking! 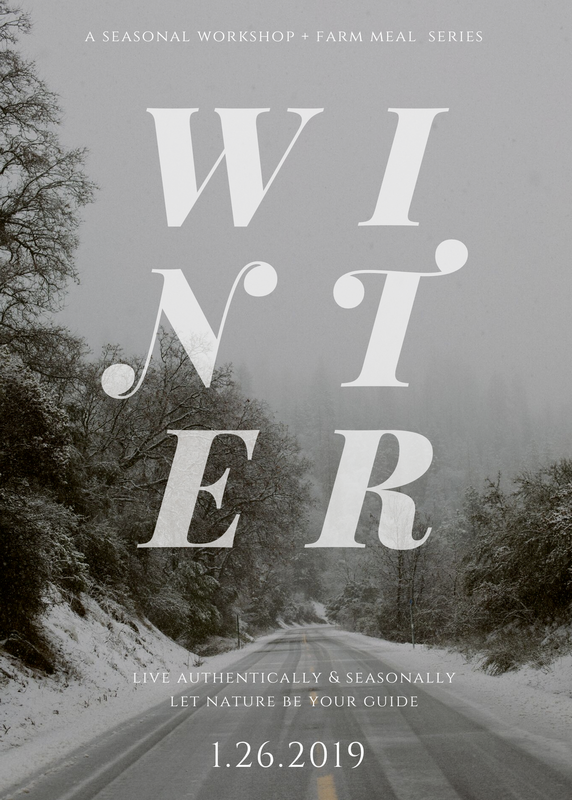 Experience a winter sound bath, an authentic tea tasting, & a delicious, seasonal meal –prepared in the earth with intention and the heat of a live-fire. 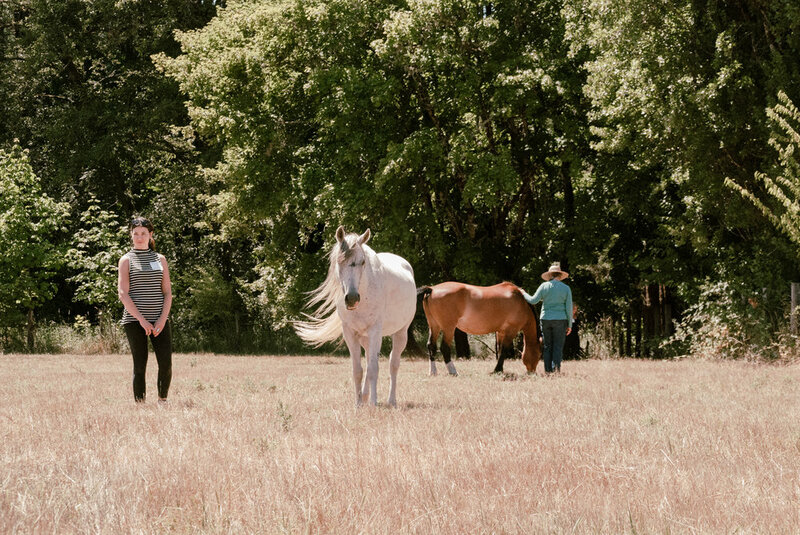 (Soul Equine), BA – certified Holistic Life Coach & FEEL Practitioner. Because we live in a society where we are totally consumed by future plans, thoughts of the past, and constant expectations, it can be really challenging to tap back in to our intuitive nature. But ultimately, we are all born with an inner-wisdom that can guide us to peace and happiness in the present moment. 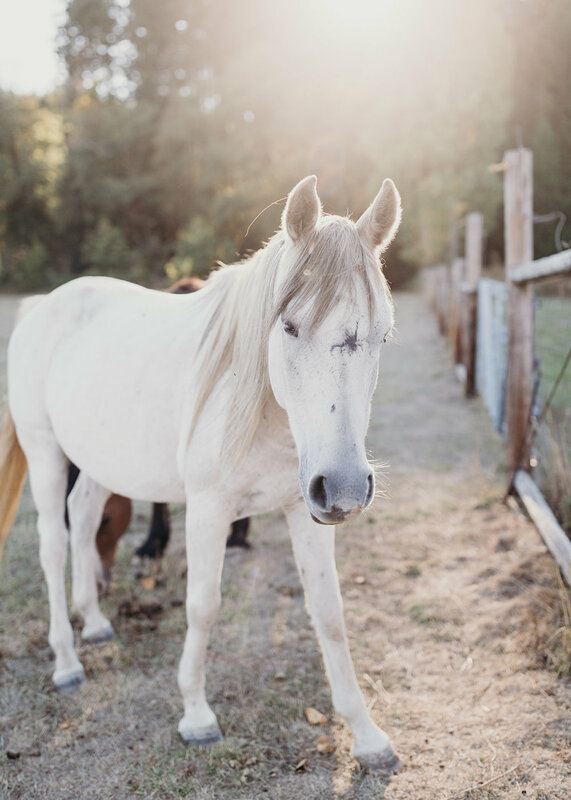 I’m a holistic life coach specializing in equine and nature guided learning. 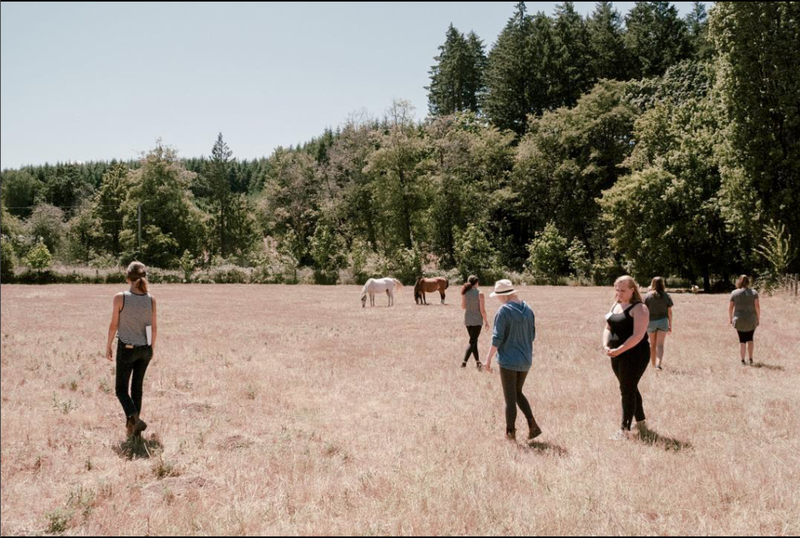 I facilitate experiences, grounded in mindfulness, for people with nature & animals on my farm. 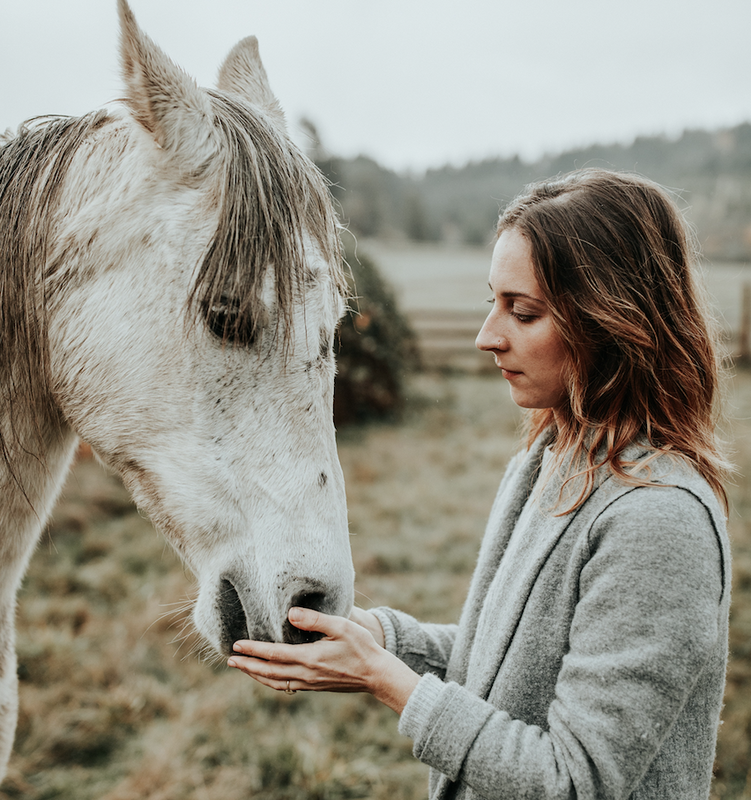 We are able to use horses not only as a mirror to what we are experiencing in the moment, but also as an example of our deep intuition. I love this work because it’s really the foundation of everything. I don’t have to tell you, you always possess your own wisdom – I’m only here to guide you back to it. “It’s all information, no judgment” is a self-mantra that encompasses both my professional and personal practice. I have dedicated my life to the art and science of the moving body, and my life as a dancer has given me a deeper understanding and appreciation for the power of the human design. Whether you’re professional athlete or an attorney with no exposure to physical movement, I believe everyone has the ability to listen and learn the language of our body. Through mindful movement and guided breath-work, my process calls attention to our present body and it’s holding patterns, without judgment. Are we moving through our day with optimum efficiency? 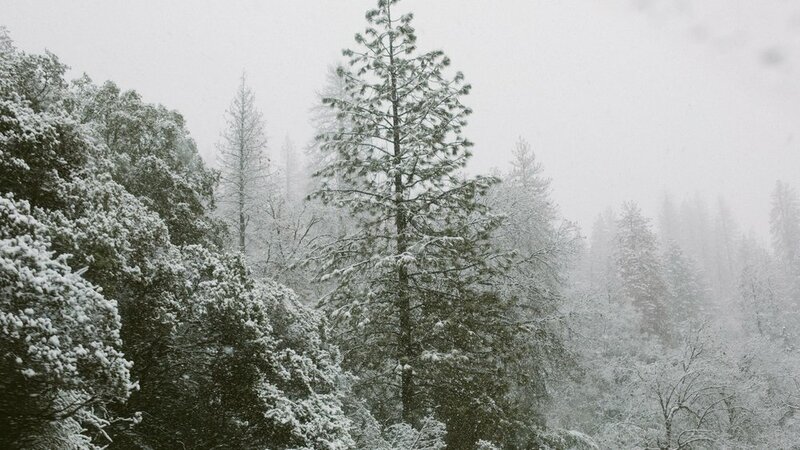 How can we let go of excess tension so we may function as lighter, brighter beings? Becoming aware is the first step to unleashing the power we have already been gifted. When we are informed, we are empowered. My sessions hold space for new discovery, and offer practical tools to self-assess, self-heal, and in turn: self-love. I invite you to explore with patience, kindness, and compassion. Understanding your body requires giving yourself permission to arrive in your body exactly the way it is in its most authentic form. It is time to let go fear and expectation and instead, embrace intention and gratitude. With 25+ years of physical training, Kit has been dancing and educating professionally in NYC for the last decade. She holds a B.F.A. in Dance and Performance from Florida State University and teaching credits from Juilliard, NYU, Marymount Manhattan College, and Elón University. Kit received her 600+ hour Pilates Certification through Erika Bloom Pilates with specialized focus in pre and post-natal, scoliosis, myofascial release, osteoporosis, injury prevention, and rehabilitation. 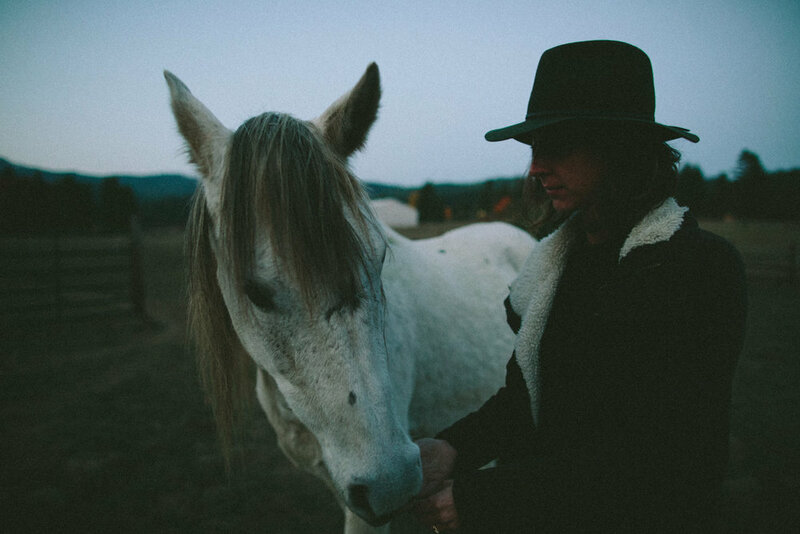 Valerie Noell is a creative director and photographer focusing on artistic, intentional story-telling and thought-evoking experiences. 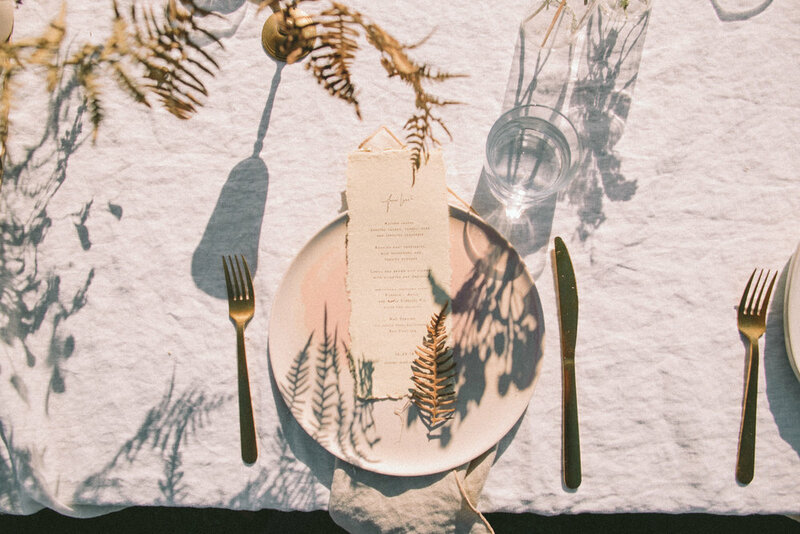 She creates under her lifestyle company, The Eternal Child, which focuses on exploration and gathering together to feed the mind and soul with good food and creativity. Valerie produces print and online media surrounding this concept, along with curating artful gatherings and immersive workshops. Her work is thoroughly connected with the earths natural elements, pulling from nature wherever she may be. She specializes in design and development, surrounding food and atmospheres, working with different brands and artisans. 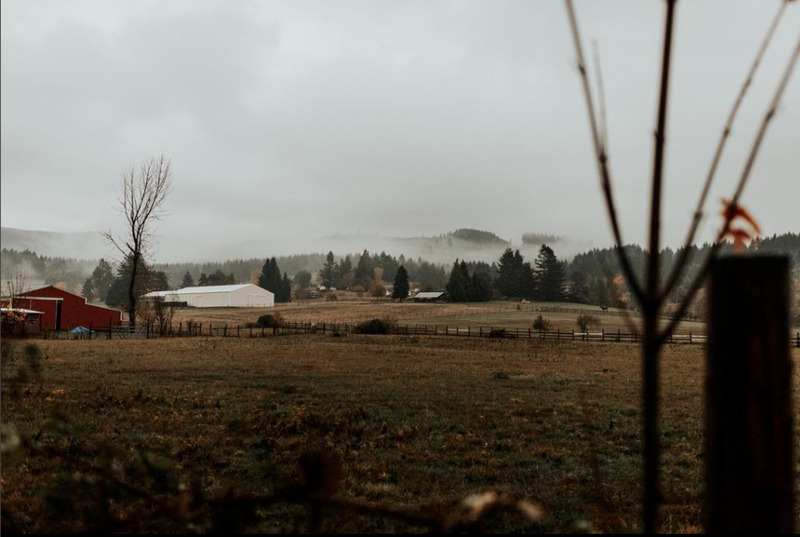 As a photographer, she focuses on lifestyle and the artistry of food, portraiture, still-life and nature. Her work is driven to evoke emotion if it be either captured within a photo, or laid across a table to experience. 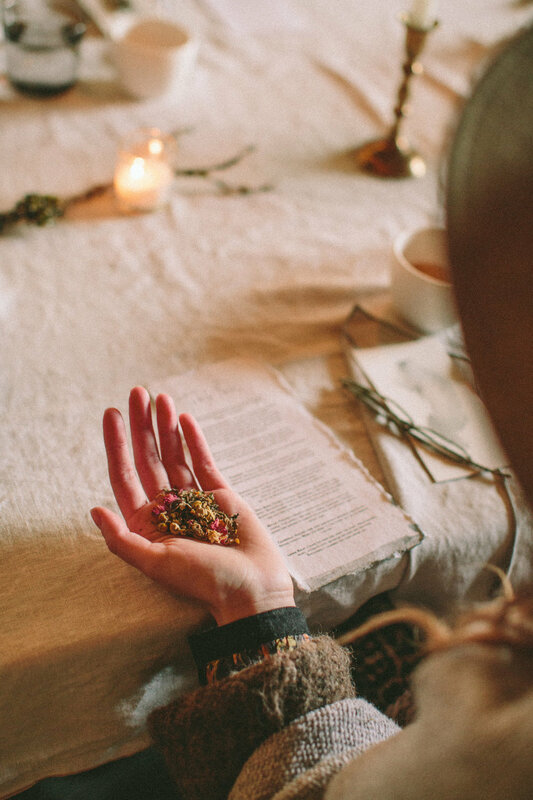 Briana Throton, founder of Asethete Tea will lead us in a tea tasting before our meal, with a special blend created specially for the day. Briana has studied and received certificates in Vendantic Philosophy, Hatha Yoga, Ayurvedic diet, Reiki and Permaculture. She wanted to create a brand that incorporated her passions: art, tea and a drive for a healthy, slower lifestyle. 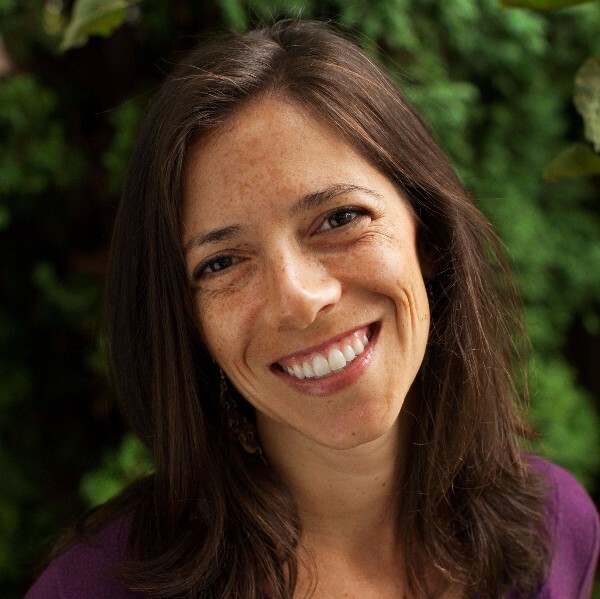 Brianna is a bodyworker and sound healer based in Portland, Oregon. Her practice is rooted in the belief that we are beautiful expressions of the universe - that we have everything we need within us. Because we are light beings in a multi-dimensional reality having a human experience, it is very easy to forget our miraculousness. Her sessions are aimed at helping you feel fully embodied, so you can feel grounded, protected and liberated in your earthly body. 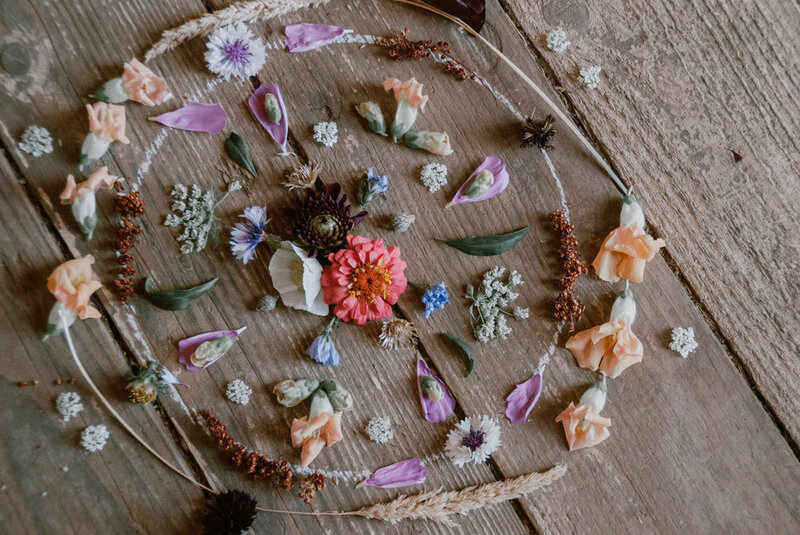 Self-care practices such as sound healing and bodywork are especially poignant during the winter months as everything slows down and goes inward. 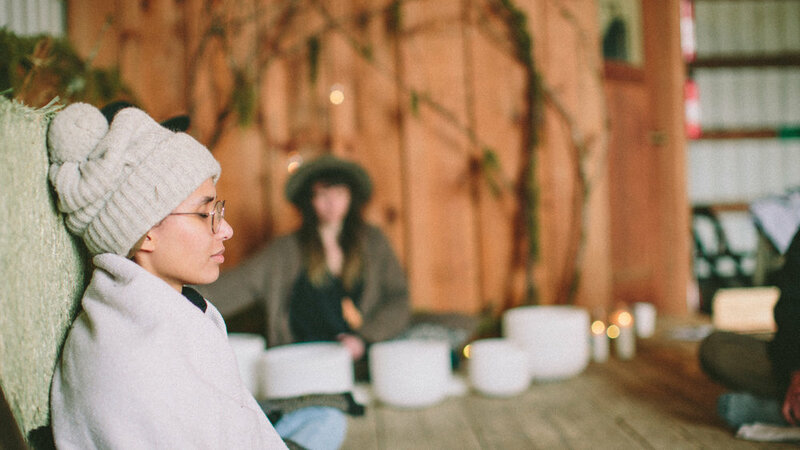 This winter sound bath is aimed at providing the deepest state of rest so you can give yourself permission to retreat inward and restore your vitality as well as receive care that is intended just for you. 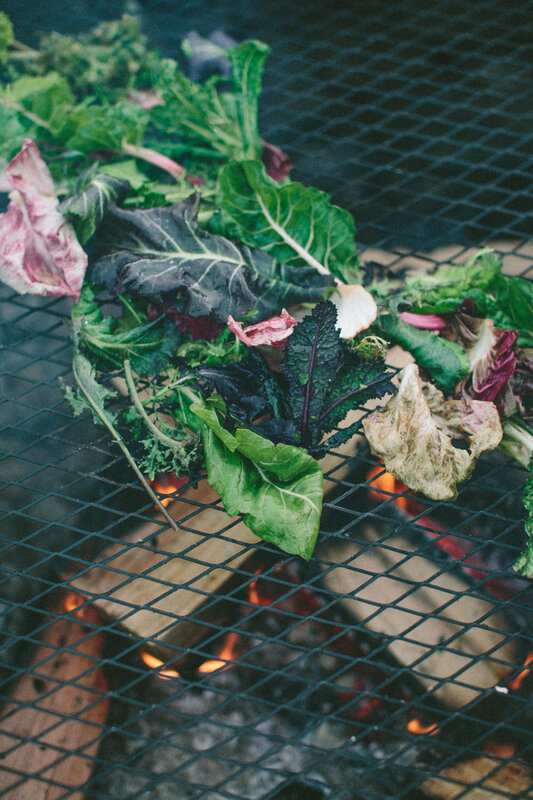 Chef Sean Sigmon of Folklore PDX will join us to create our seasonal farm lunch durning the workshop. 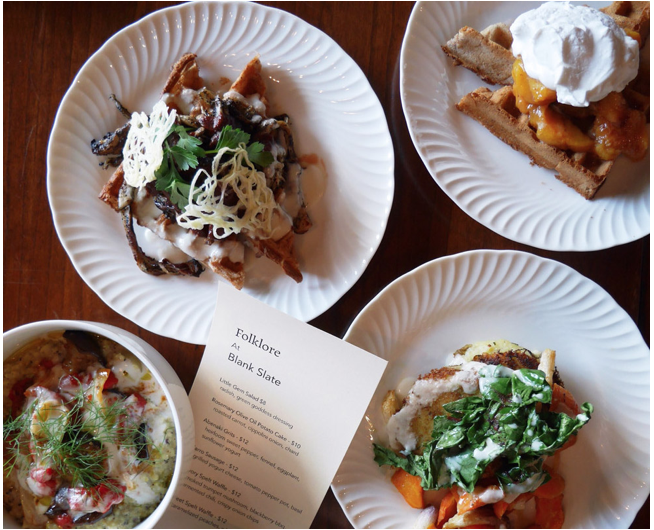 Sean has a Plant based Agrarian Pop-up called Folklore PDX. See more about Sean here. Our connection to nature plays an important role of who we are. We are nature. 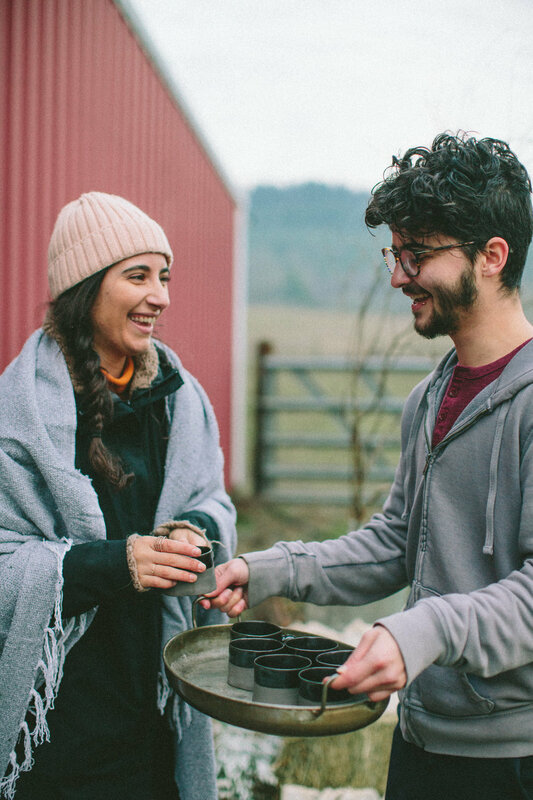 What does it feel like to be on a serene, intentional, farm – with animals and good company – in the crisp, autumn air? (Wild Hearts Wellness), LAc. 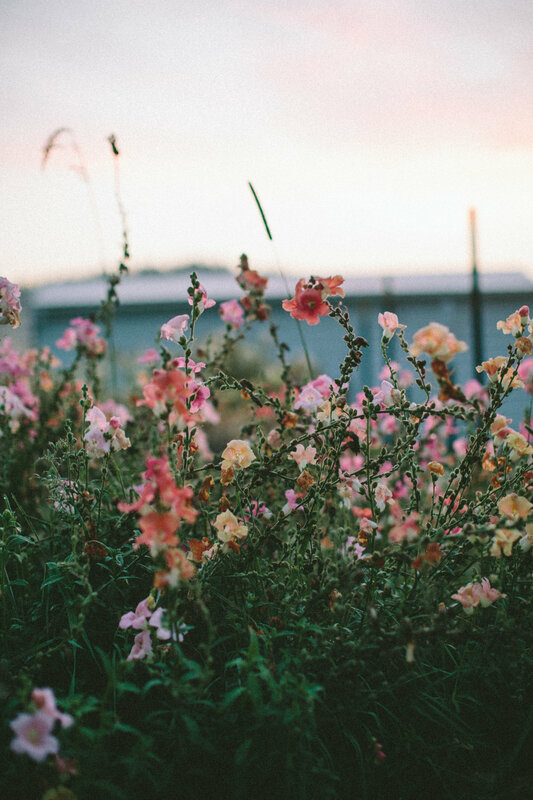 – licensed acupuncturist and herbalist. Britanie focuses on improving the health of the whole person. She pursues her passion for healing from a holistic perspective after 10 years of working in the medical technology industry. 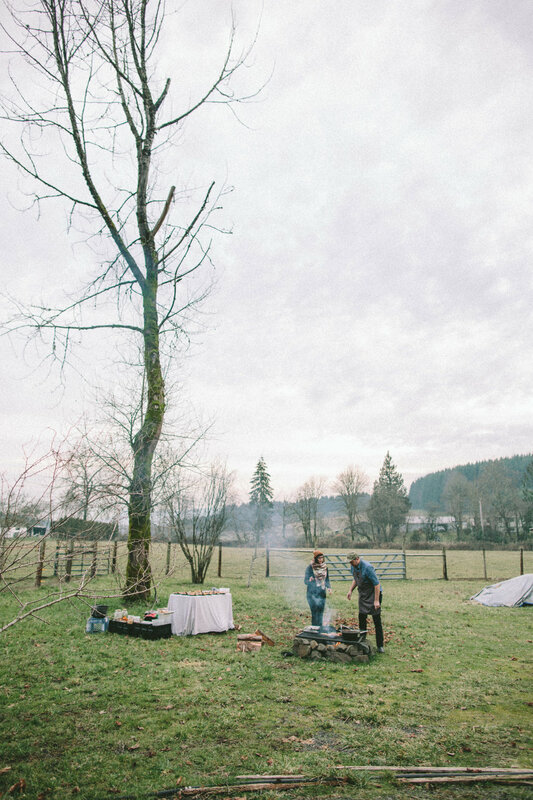 She achieved her Master's degree from the Oregon College of Oriental Medicine in Acupuncture and Oriental Medicine. She first received her BS in Psychology from Clemson University in her home state of South Carolina. In her 7 years in the Northwest, Britanie has been exploring her love for the outdoors, food, people, music and adventures. She uses these experiences to guide her practice of helping people to live healthy, happy and harmonious lives. Britanie enjoys working with patients based on their individual lifestyle and personal health goals. She specializes in TMJ disorders, postpartum care, and has begun a focus on autoimmune disorders.